Vietnam will build Van Don, Phan Thiet and Sa Pa airports by 2020 according to a decision signed by deputy Prime Minister Trinh Dinh Dung on air transport plan adjustment. Van Don is a district in the northern province of Quang Ninh, Phan Thiet is a coastal city in the south central province of Binh Thuan and Sa Pa is a district in the northwestern province of Lao Cai. Airport construction aims at developing tourist potentials in these areas. The plan adjustment is also to develop Vietnam into top four ASEAN nations in air transport output by 2030, form and develop three passenger and cargo transport centers on a level with the ASEAN region. According to the plan, the country will exploit the system of 23 airports including 13 domestic and 10 international airports. Of these, Noi Bai, Da Nang, Tan Son Nhat and Cam Ranh will be international gateways. The northern region will have seven airports including four international namely Noi Bai, Van Don, Cat Bi and Vinh and three domestic namely Dien Bien, Tho Xuan and Dong Hoi. 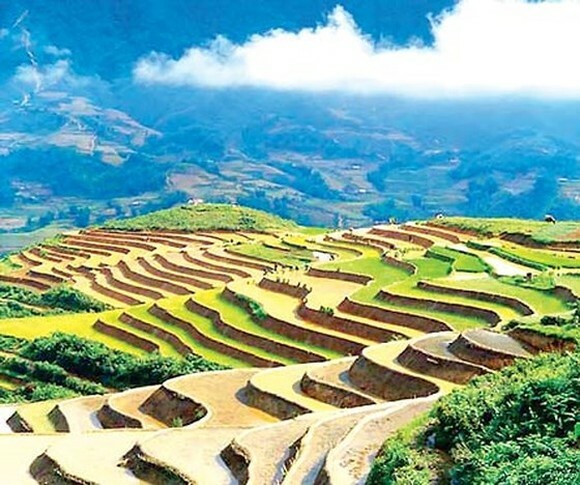 The central region will have seven including three international including Phu Bai, Da Nang and Cam Ranh and four domestic including Chu Lai, Pleiku, Phu Cat and Tuy Hoa. The southern region will have nine including three international namely Tan Son Nhat, Can Tho and Phu Quoc and six domestic airports comprising Buon Ma Thuot, Lien Khuong, Phan Thiet, Con Dao, Rach Gia and Ca Mau. The Government will focus on studying and implementing some major projects to upgrade and broaden 21 existing airports namely Noi Bai, Cat Bi, Vinh, Phu Bai, Da Nang, Cam Ranh, Tan Son Nhat, Can Tho, Phu Quoc, Dien Bien, Tho Xuan, Dong Hoi, Chu Lai, Pleiku, Phu Cat, Tuy Hoa, Buon Ma Thuot, Lien Khuong, Con Dao, Rach Gia and Ca Mau to meet air transport demand; implementing the first phase of Long Thanh International Airport and building Van Don, Phan Thiet, Sa Pa and other airports according to plan. National flag carrier Vietnam Airlines will be further developed into a core transport force with international competitiveness. The Government will facilitate development of Vietnamese airlines and speed up exploitation of domestic and international passenger and cargo transport markets.